Yesteryear on West is a unique marriage of Australian antique furniture with modern technology and applicances. 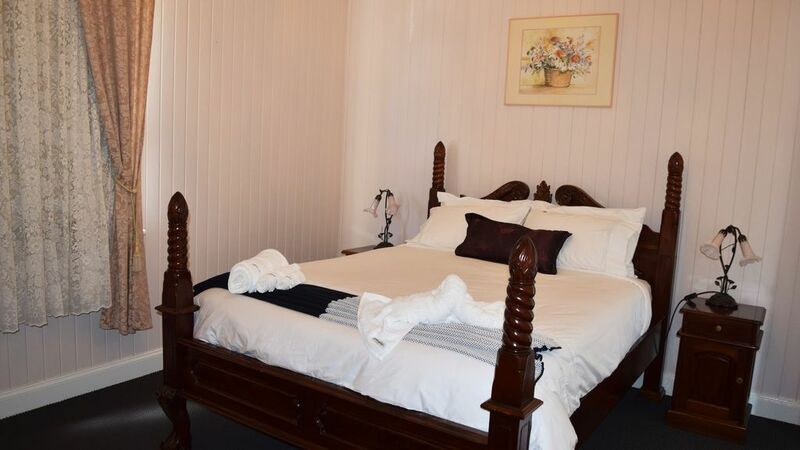 Step back in time with your stay in this original Queenslander built in the turn of the 19th century. You can sit on the front veranda and take in the beautiful gardens or lite up the BBQ and relax with family or friends. The house is located next to the historic Mort Estate, the Mort Estate shopping centre is under a 2 minute walk, the major shopping centre and the beautiful Laurel Bank Park are a 2 minute drive. A short walk around the corner is the Gowrie Road Hotel for meals and bottle shop. One of the largest antique shops in Toowoomba is located at the railway precent with numerous coffee and gift shops along with the Railway Restaurant. For added security a 24 hour video security camera has been installed at the front of the house. Gas BBQ is supplied on request with a $50 cleaning fee. Relax on the front varanda with the family and frends and enjoy a BBQ and drinks while watching tge world go past. Thank you again for having us in your lovely home. It seems such a waste all of those lovely bedrooms for the two of us! Quite a few blown globes that need attending to this time, but if you don’t know, you can’t fix them! Thanks also for your flexibility regarding our changeable dates with the weather. We had a wonderful stay at Yesteryear on West. It had everything we needed for our stay. Highly recommended. Just the most gorgeous place to stay. My elderly mother and aunt loved every minute and reminisced the whole time. The house is so special and it was wonderful to see them wandering through chatting about Yesteryear's features. Wayne and Carla are terrific and generous and very helpful.